You will want to try this “piece of heaven”. It is eight ounces of beef tenderloin locally sourced from our friends at W.A. Bean. 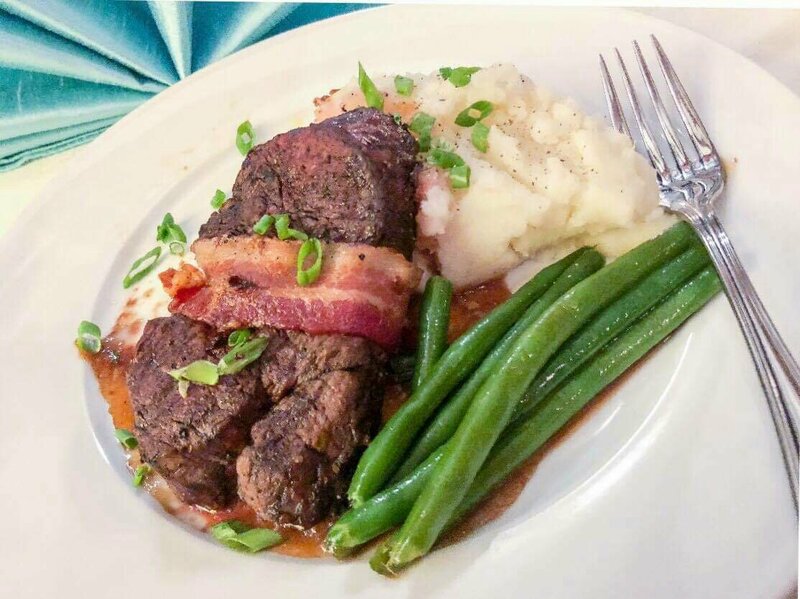 Flavored with our special seasoning, wrapped in bacon and cooked to perfection by Chef Ben. Plenty of savory flavor without over powering the delicious taste of the beef. Come on over November 9th, 17th or 24th to enjoy this entree or one of our many others. The number is 207-992-4090 for reservations, be sure to plan to arrive early to enjoy everything that our historic venue has to offer! !